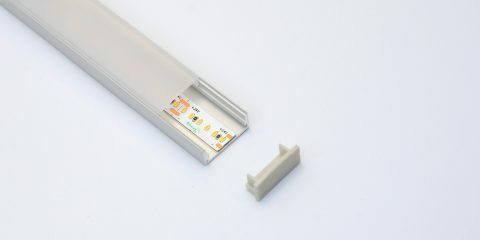 AL-0 is a surface mounted aluminium profile for hidden applications; used purely for heat dissipation. 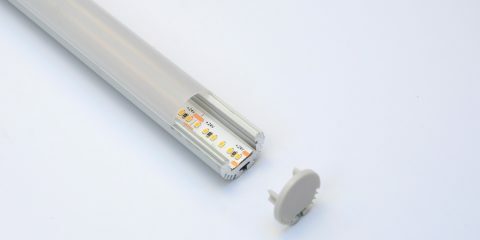 The AL-1 is a discreet profile with a shallow depth, making it ideal for use in surface mounted installations where the profile is not visible but light output is. 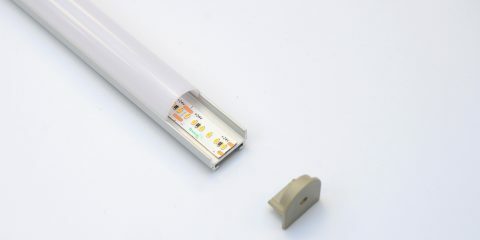 This profile is ideal for use with lower wattage LED strips. 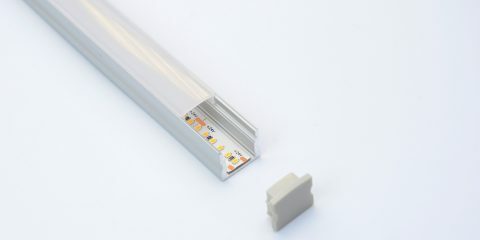 The Al-2 is a versatile profile which can be used with a multitude of our LED strips. 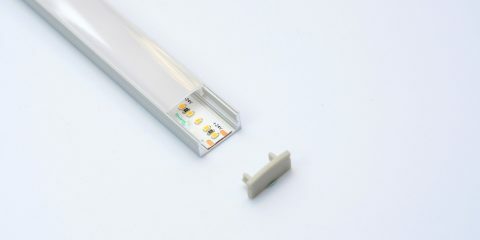 The illumination distance can vary from a small to a wider distance as the profile can accommodate higher power LED strips. 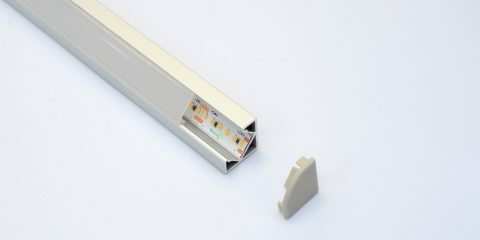 The AL-3 is one of our most versatile profiles which allows for a 3D effect as the light output can be viewed from various directions making it a worthy addition to projects that require an elegant looking product. The AL-4 profile is a circular profile that can be used as a wall mounted profile ideal for highlighting features, mirrors or paintings. This profile can also be suspended for feature lighting or task lighting. 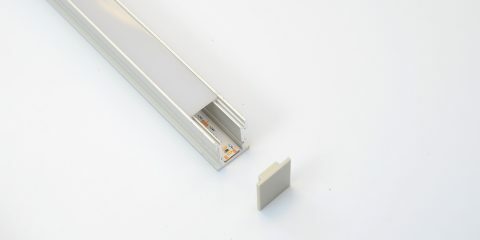 The AL-5 is a wider profile which can accommodate every Teucer LED strip. 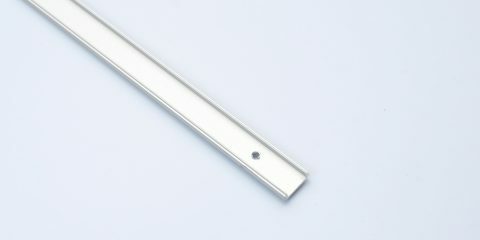 This profile is ideal for use in applications that require a high lumen output LED strip but also a shallow depth. The AL-6 is the largest profile in Teucer’s range and ideal for general lighting, as it can accommodate more than one LED strip dependent on the required power output. The AL-7 is an angled profile that is ideal for use in displays that require illumination from a 90 degree angle. This is suited to illuminating small spaces, wall washing or highlighting retail displays. The AL-8 is the newest addition to the range. 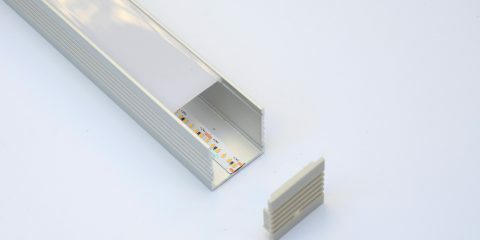 This walkover profile is suitable for use in ground and floor applications making it ideal for versatile lighting solutions.